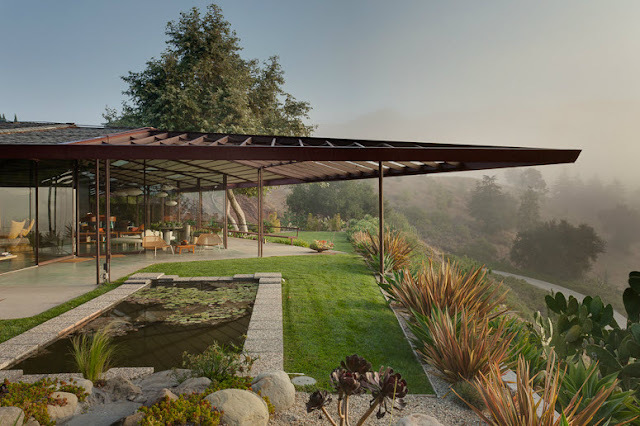 It's rare that I'm as inspired by a mid-century exterior as I am by the interior, but with a setting like this, who can blame me? 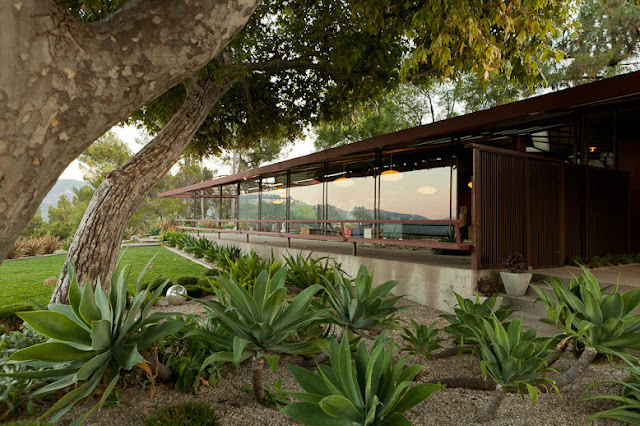 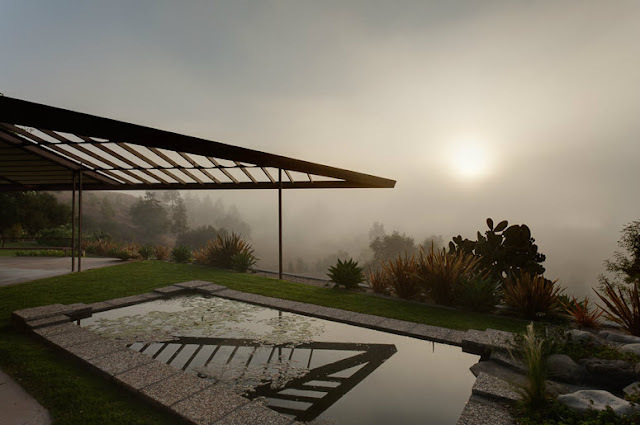 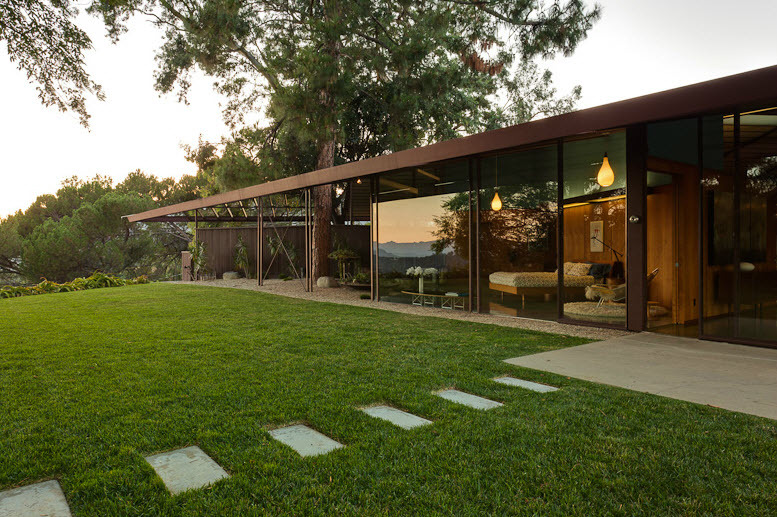 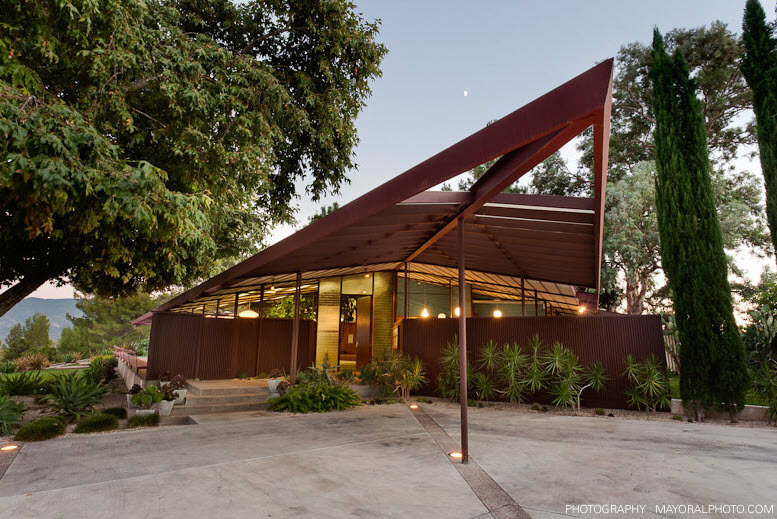 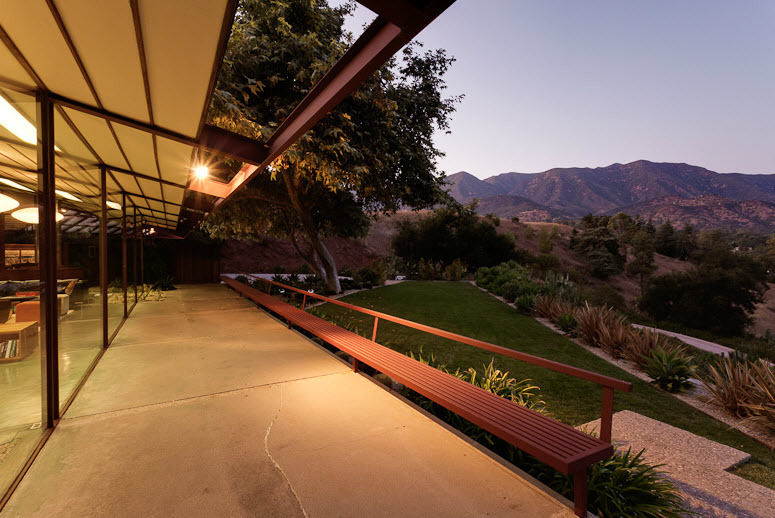 Built by Rodney Walker in 1959, this home sits on 3.4 acres of land in Ojai, California. 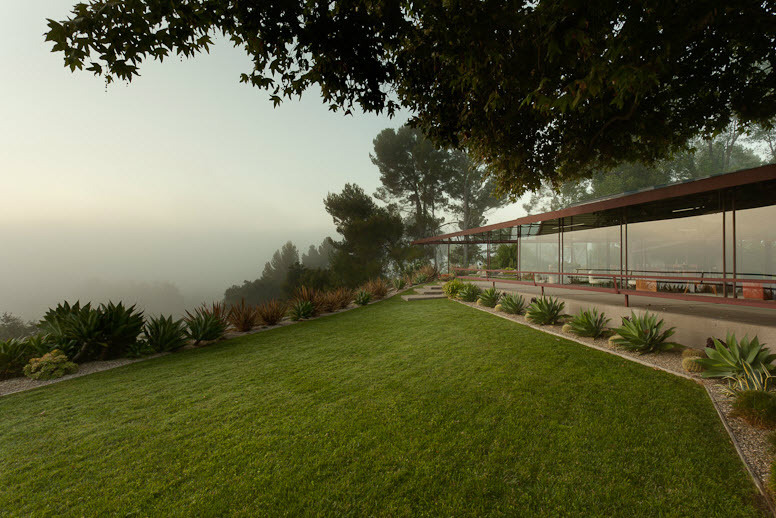 With panoramic views stretching 270 degrees, it seems to just melt into its verdant surroundings . You can view more photos of the property (including interior shots) here. It's currently on the market for a cool $3.995 mil. 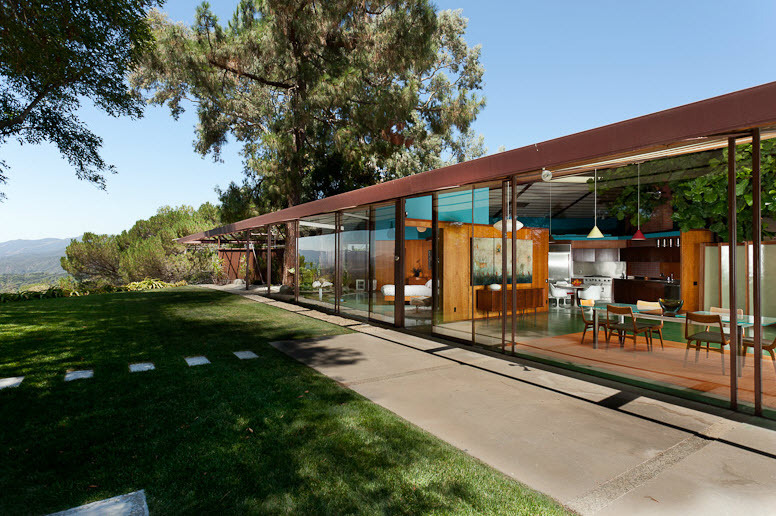 Anyone want to go halfsies?